Cooking and baking with family and friends is great fun, especially during the festive season. But, no-one really relishes the clear-up afterwards. Thanks to the all-new Limited Edition, Warm Spice Persil washing-up liquid, the clean-up just got a little more enjoyable. Persil’s Warm Spice washing up liquid has warming notes of ground cinnamon, hints of cloves and additional scents of citrus, creating a fabulous fragrance which will add the perfect festive feel to your kitchen this winter. 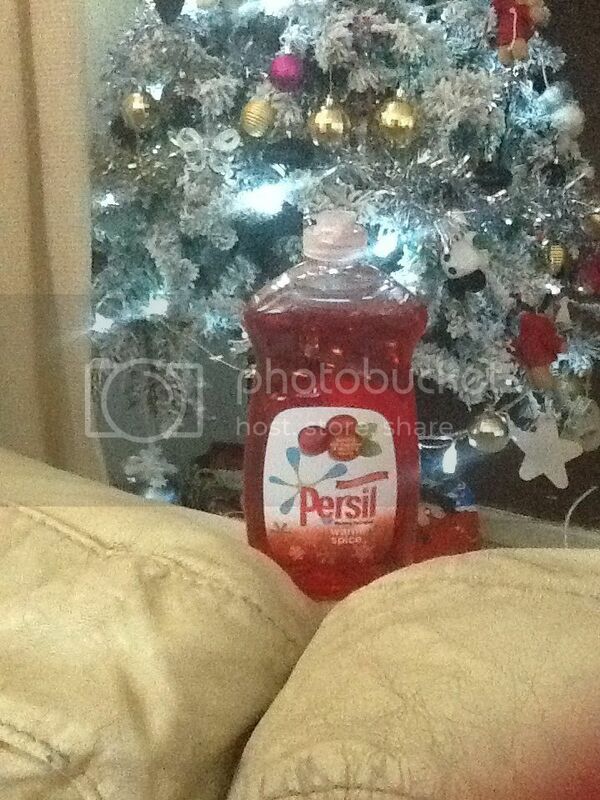 Persil’s Warm Spice washing-up liquid also has a vibrant red colour to match its festive aroma. It has a very mince pie smell to it very Christmas, it makes lots of bubbles and isn't greasy to use. Loved using it. Persil washing-up liquid not only cleans your dishes, bowls and utensils with ease, removing even the most stubborn baked on food and grease, but also refreshes your washing-up bowl and kitchen with a fabulous festive burst of fragrance each time you use it. So, there is no need to worry about making a mess in the kitchen this winter. Whether it’s making mulled wine with friends or cooking a full roast dinner for the family, don’t worry about using every piece of crockery, cutlery or cooking tool you have, as you can enjoy cleaning up the culinary chaos with the new Persil Warm Spice washing-up liquid. Persil washing up liquid retails at just £1.00 for a 500ml bottle, so keeping your dishes sparkling clean and beautifully fresh is now even better value and more fun than ever before. Persil washing-up liquid is available from all major supermarkets.